"Hadji has been WONDERFUL. Were it not for his thoughtful matching of me with the amazing trainer, Isiejah Allen, I wouldn't be dozens ([and not]just two; STILL, lol) of pounds lighter, inches leaner, and incredibly healthier today." "I worked with Jean and she was the best thing that ever happened to fitness. She is knowledgeable on the newest equipment available to trainers and gym goers. She suggested and lent me books that helped me understand and address my poor eating habits. Jean created a fitness routine that I felt comfortable with yet one that was challenging. I have had trainers in the past but never one that addressed all the different aspects of being healthy – eating better, getting stronger, surrounding yourself with people who are supportive and trying new equipment and exercises to achieve better results." "I recently worked with Jean and found her manner calm, focused and confident. She listened well and focused our sessions according to my concerns. Her attitude made me feel comfortable and stimulated to practice the new exercises she taught me. I will recommend her to other members of RCSC. Jean Simons is an asset to RCSC." 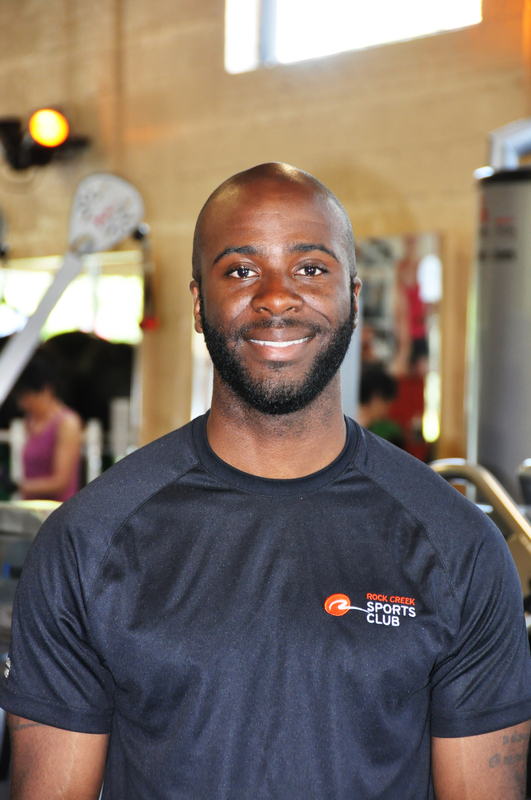 “I decided to get a trainer because I wanted to have a better workout. I’d been a member of a sports club for over 7 years and developed a very boring treadmill routine. Occasionally I would take a dance or yoga class, but overall I felt that I wasn’t pushing myself or seeing results. I worked with Jean and she was the best thing that ever happened to fitness. She is knowledgeable on the newest equipment available to trainers and gym goers. She suggested and lent me books that helped me understand and address my poor eating habits. Jean created a fitness routine that I felt comfortable with yet one that was challenging. I have had trainers in the past but never one that addressed all the different aspects of being healthy – eating better, getting stronger, surrounding yourself with people who are supportive and trying new equipment and exercises to achieve better results. 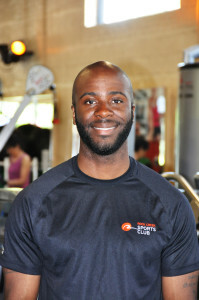 “I want to commend Devin Knox for being such an effective personal trainer. He is sensitive to my limitations while, at the same time, pushing me to do more and to try more. He makes sure that our weekly session are varied; his knowledge of why certain exercises may be especially good–or not–is amazing. He always comes with a good attitude, with humor and a genuine interest in what he is doing. I am very grateful to have him as a trainer and I hope he remains at the gym for a long time. I want to also say I appreciate the attention given to keeping the gym clean, the machines repaired, and the members informed if there are problems. 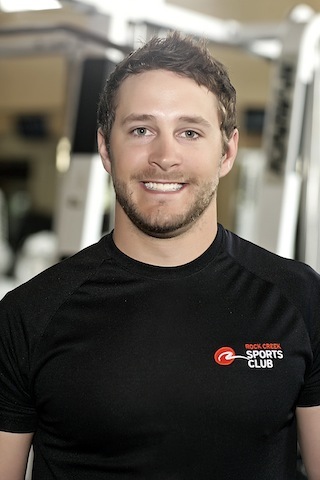 Rock Creek is, without a doubt, the best gym I have ever used." "I have thoroughly enjoyed my time at RCSC. The staff, trainers and fellow gym members have been incredibly friendly and helpful and I will miss the club when I return to Australia. 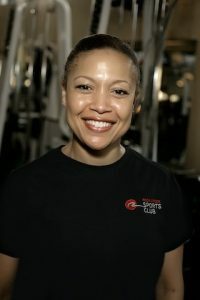 I would also like to express my sincere thanks and appreciation to my PT Tina Warnick. 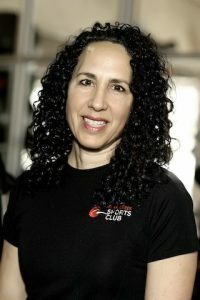 Tina is a dedicated, experienced and supportive trainer and I am fortunate to have improved my fitness under her guidance. She also inspired and motivated me in my running activities outside the gym and I am leaving the US in a much healthier physical shape than when I arrived thanks to Tina. 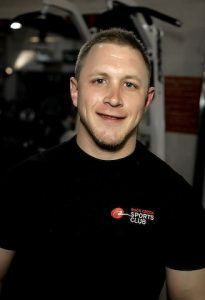 While all the trainers have been friendly, Steve, Zac and Devin have been particularly welcoming during my gym sessions." "Emily Karl is an excellent and skilled personal trainer, and I enjoy working with her very much. She is thorough and encouraging. Her sessions are challenging, balanced and fun. She understands the foundation and purpose of each exercise she guides the client through. She explains the elements of routines when needed and uses imagery to make her point stick. 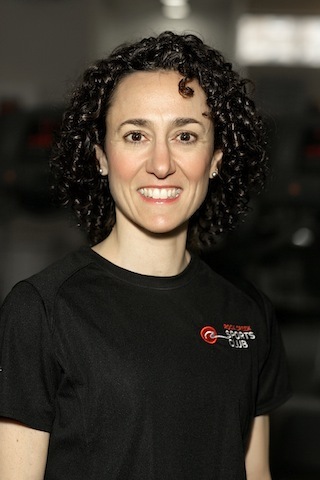 She has excellent knowledge of the body and is able to help the client build strength with gradual, steady progress. In fact, her depth of knowledge is impressive! I find her ability to demonstrate exercises helpful. She has very good visualization of the body and can break a series of movements into detailed smaller parts. She can also let reps develop organically. Emily is a wonderful trainer, and it's a pleasure to work with her." ... So I went down the hill and looked at RCSC. Nice folk, not too much glitter, and a few old folks like me. So on a whim, I signed up thinking, 'I will use some of these machines.' When they mentioned that I got an evaluation and a session with a trainer as part of my new membership, I hesitated but then thought 'all you have to lose is a bit of pride' - to be honest, I did have to lose some pride. Zach did my evaluation (with Steve Basdavanos looking on from his executive suite). Zach and I both laughed a bit at my inability to do things. At the end I thought he would say, 'nice meeting you', but instead he summarized things that I needed to work on, balance being first, and suggested that I come in for a session with him. "Thank you for taking care of my back - knowing that I needed to stop curling and start hinging only. Thank you for your spine-bone-building workout. Thank you for your care in every workout."